Snkrslist is a private cook group that helps all sneakerheads get hyped items. It offers fast restock monitors for Shopify, SNKRS and Off-White, early information, release guides, 24/7 support and free accounts. 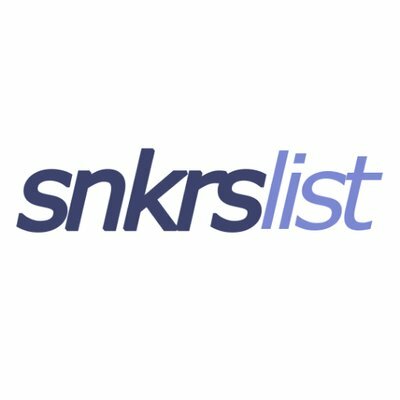 Snkrslist is a private cook group that helps all sneakerheads get hyped items. It offers fast restock monitors for Shopify, SNKRS and Off-White, early information, release guides, 24/7 support and free accounts. The group is based on Slack, so it is suitable for smartphones and computers. At the moment it is sold out, follow the official Snkrslist Twitter page for information about restock.